The schedules are out and available here now for Download. Please forward to you team mates. Once again the Summer League increases in size featuring 3 divisions for the first time. The Website should be updating the league data over the coming week so look out for that. As always a reminder to all players and teams that all players must have up to date BCTTA membership to play Summer League. Any player without this is of course not eligible to play so please get those membership forms in before the beginning of the league if you haven’t already. Only 4 more days to get your Summer League entry in. May 26th is the Deadline. The 2012 summer league entry form is now available here for download. 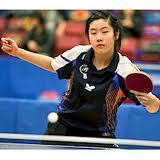 Looking forward to seeing you all for a great summer of table tennis.